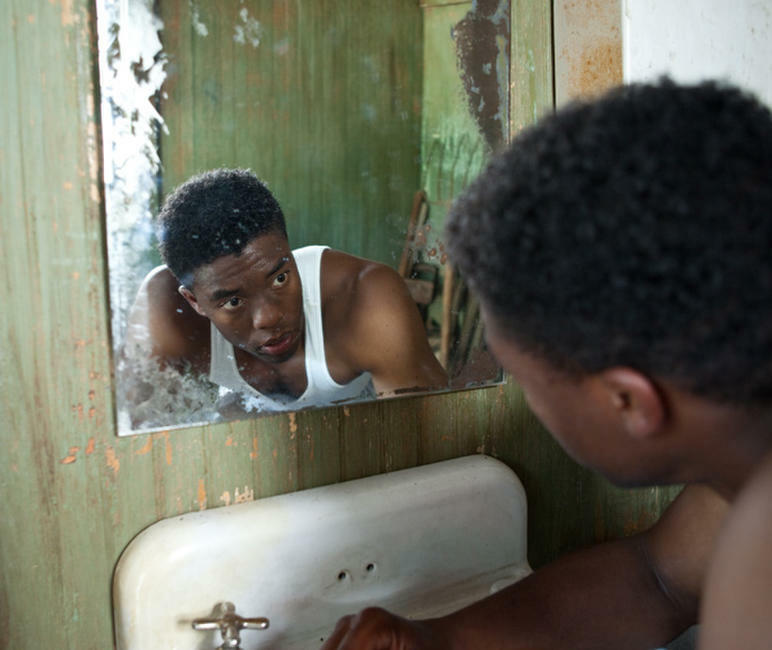 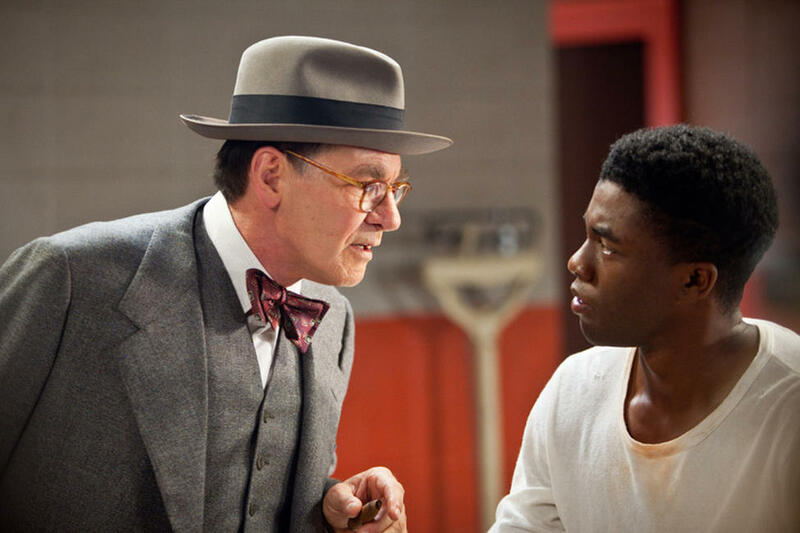 Chadwick Boseman as Jackie Robinson and Harrison Ford as Branch Rickey in "42." 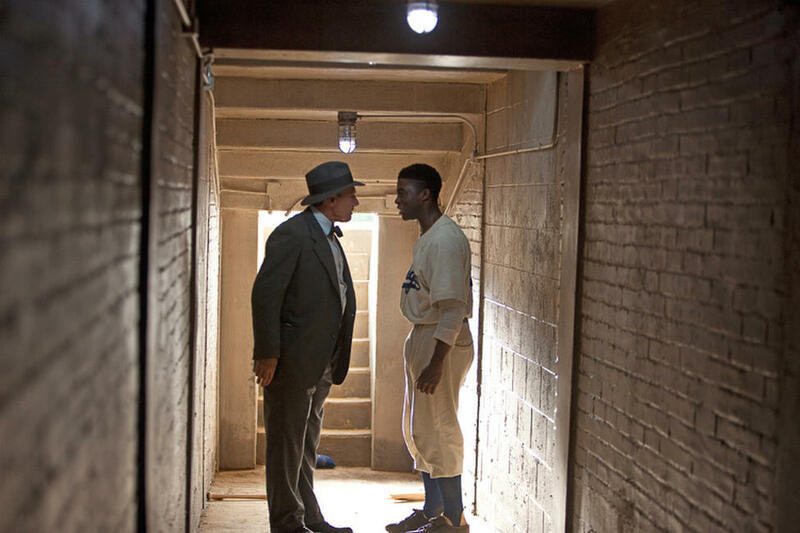 Harrison Ford as Branch Rickey and Max Gail as Burt Shotton in "42." 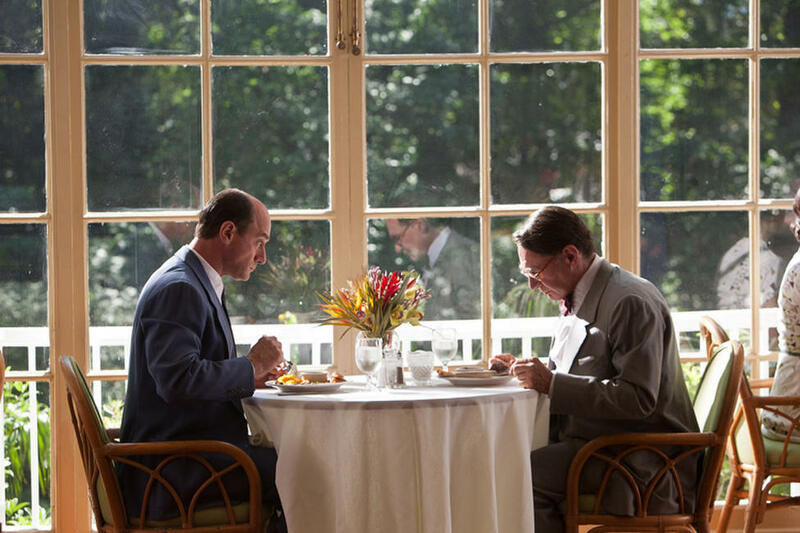 Christopher Meloni as Leo Durocher and Harrison Ford as Branch Rickey in "42." 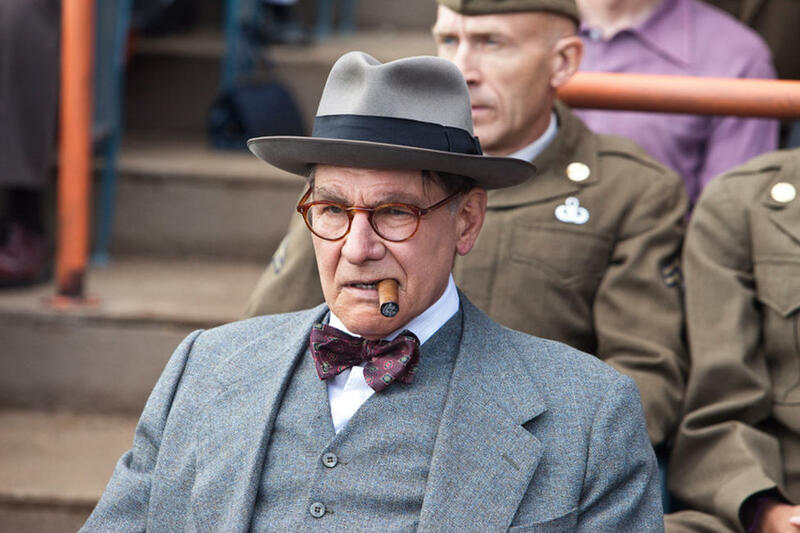 Harrison Ford as Branch Rickey and T.R. 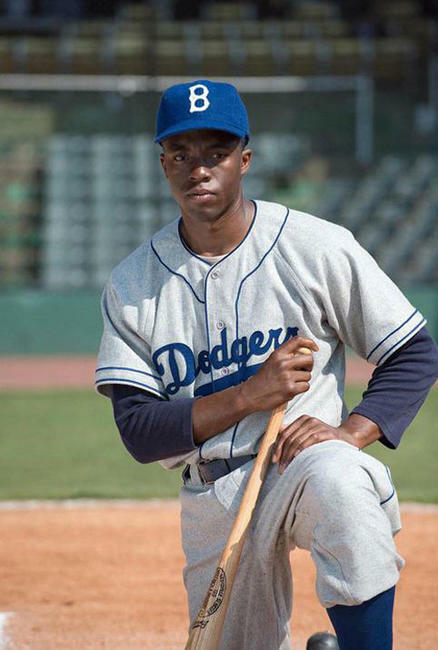 Knight as Harold Parrott in "42." 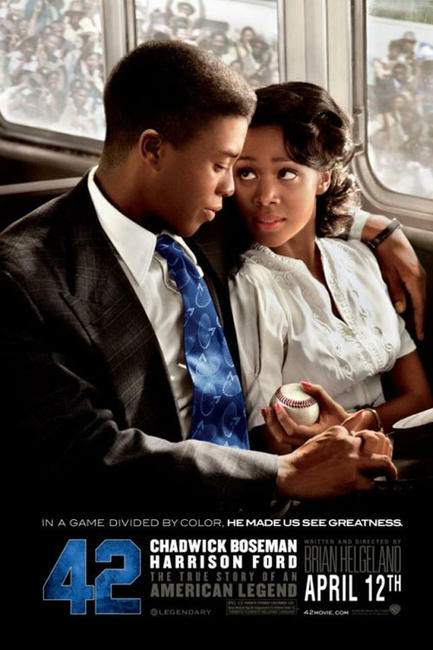 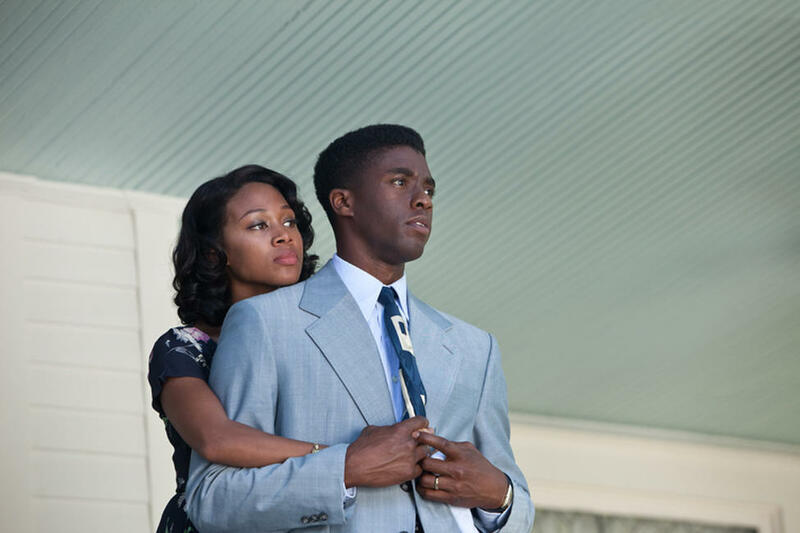 Chadwick Boseman as Jackie Robinson and Nicole Beharie as Rachel Robinson in "42." 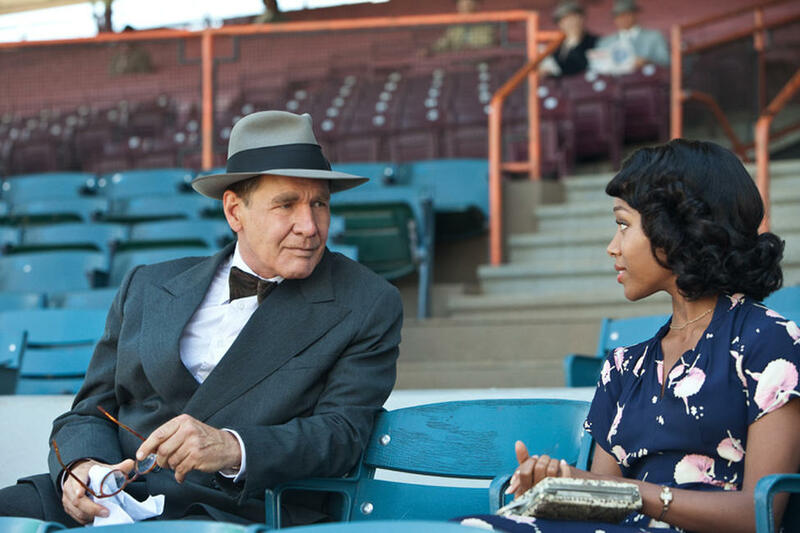 Harrison Ford as Branch Rickey and Nicole Beharie as Rachel Robinson in "42." 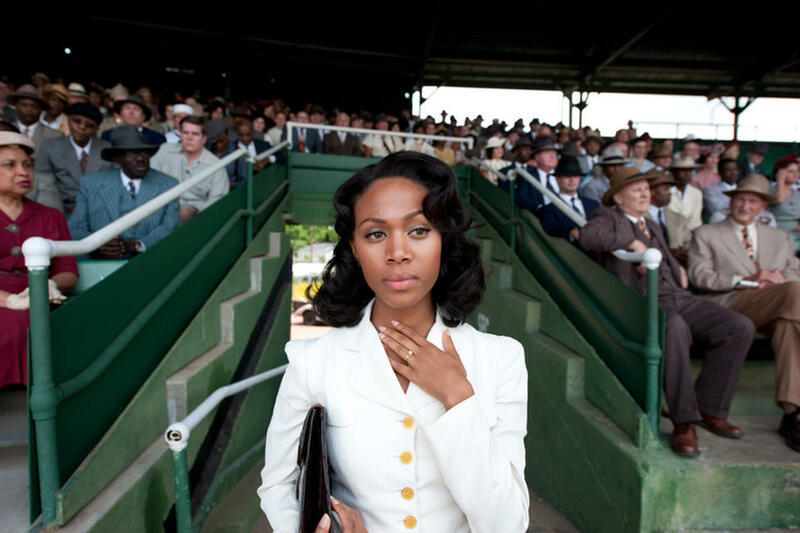 Nicole Beharie as Rachel Robinson in "42." 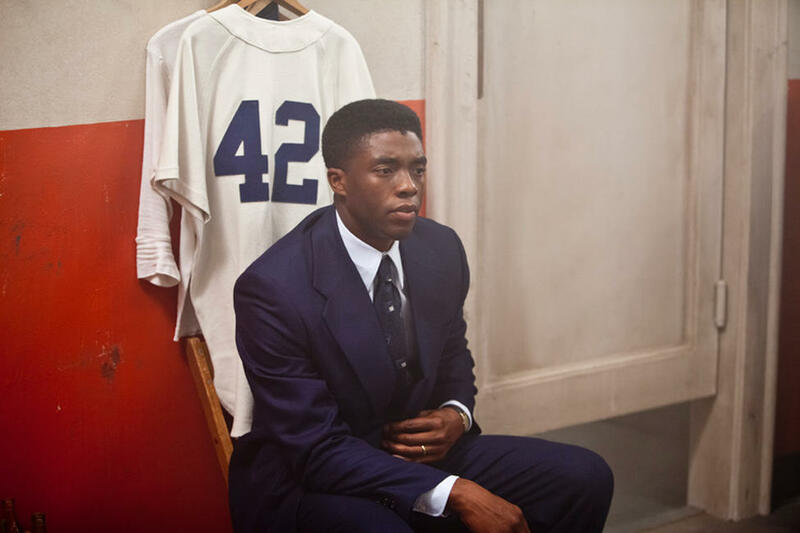 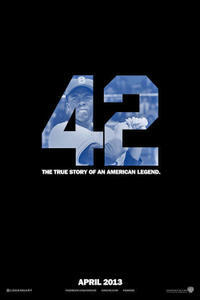 Chadwick Boseman as Jackie Robinson, Hamish Linklater as Ralph Branca and Lucas Black as Pee Wee Reese in "42." 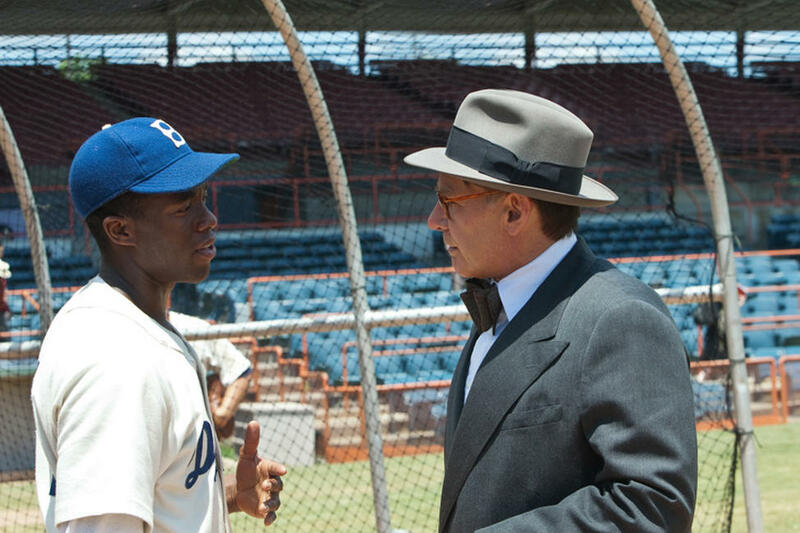 Harrison Ford and director Brian Helgeland on the set of "42." 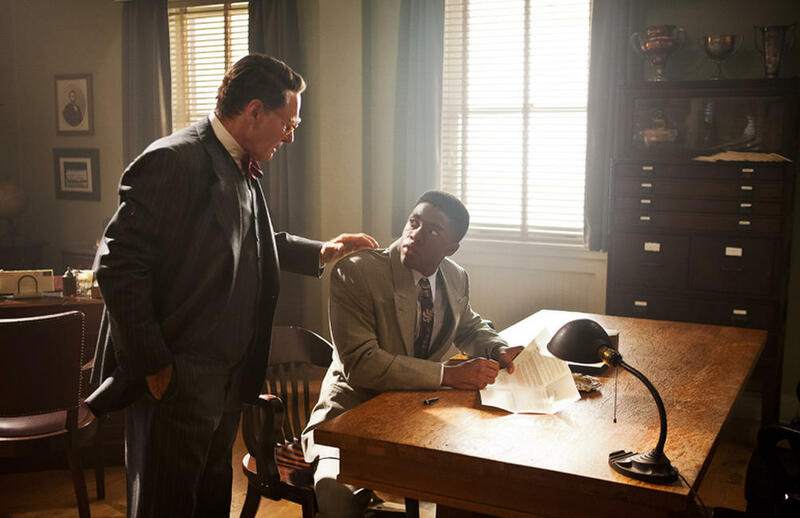 John C. McGinley as Red Barber in "42." Max Gail as Burt Shotton in "42." 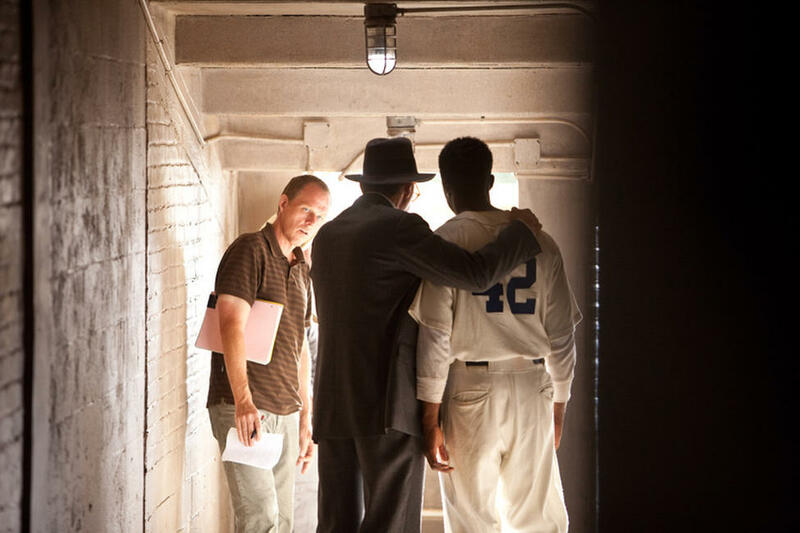 Director Brian Helgeland and Chadwick Boseman on the set of "42." 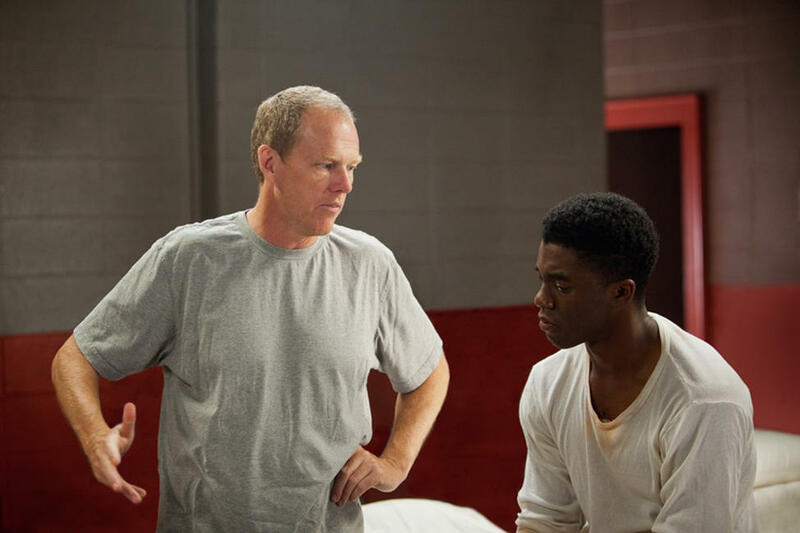 Chadwick Boseman and director Brian Helgeland on the set of "42." 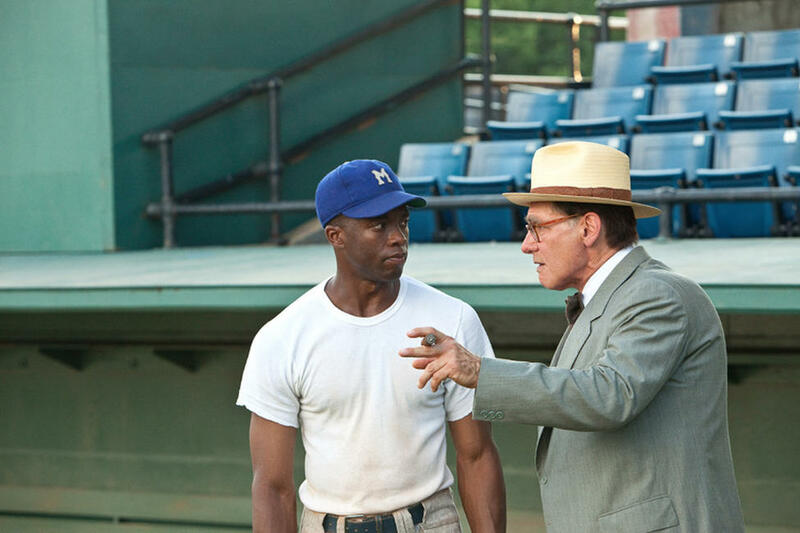 Director Brian Helgeland, Harrison Ford and Chadwick Boseman on the set of "42." 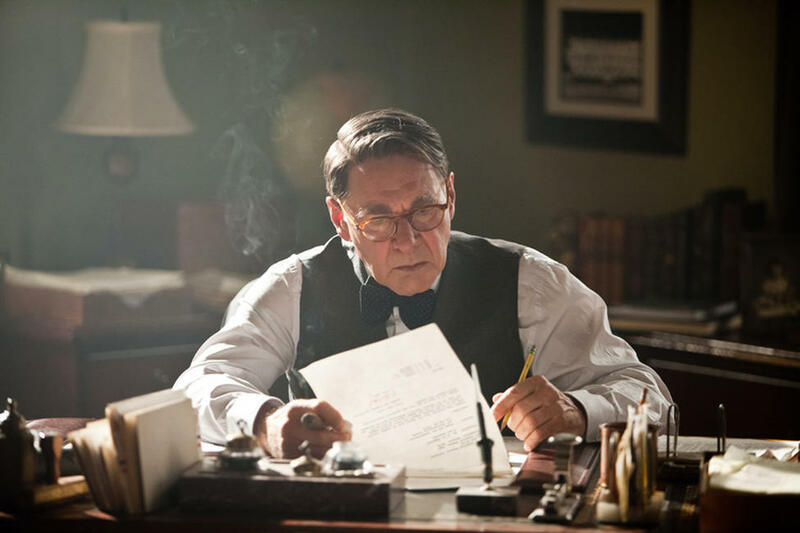 T.R. 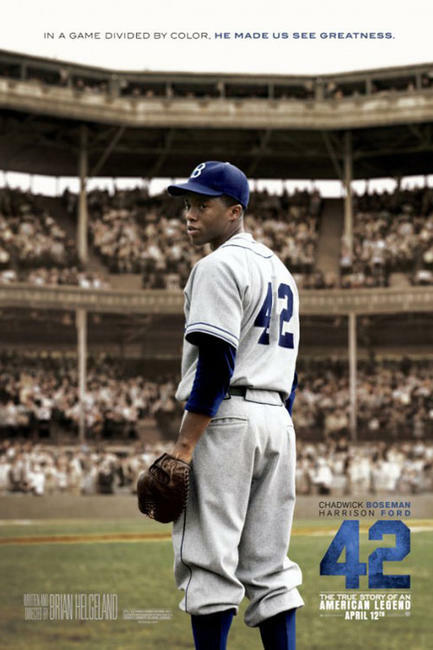 Knight as Harold Parrott in "42." 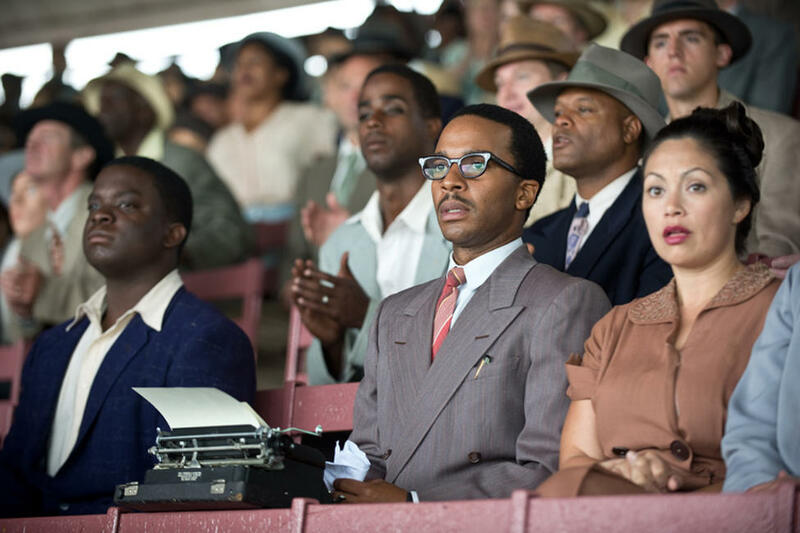 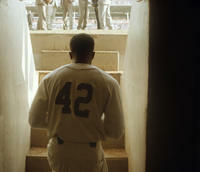 Andre Holland as Wendell Smith in "42." 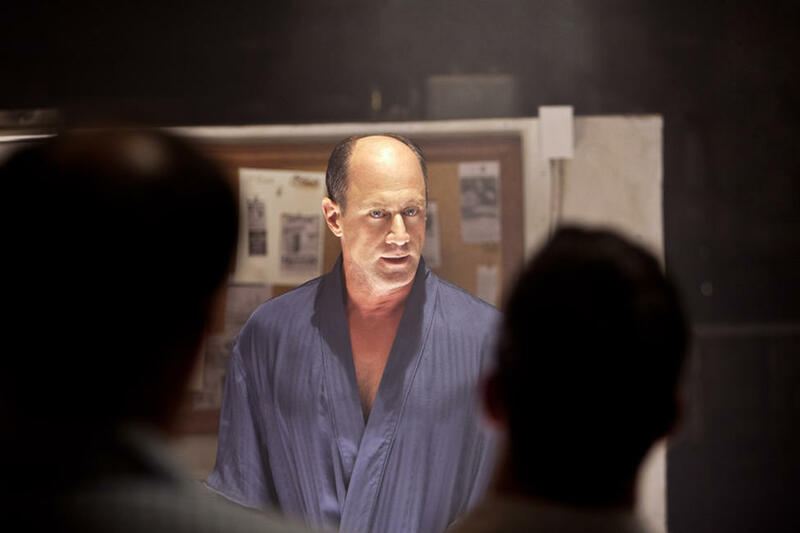 Christopher Meloni as Leo Durocher in "42." 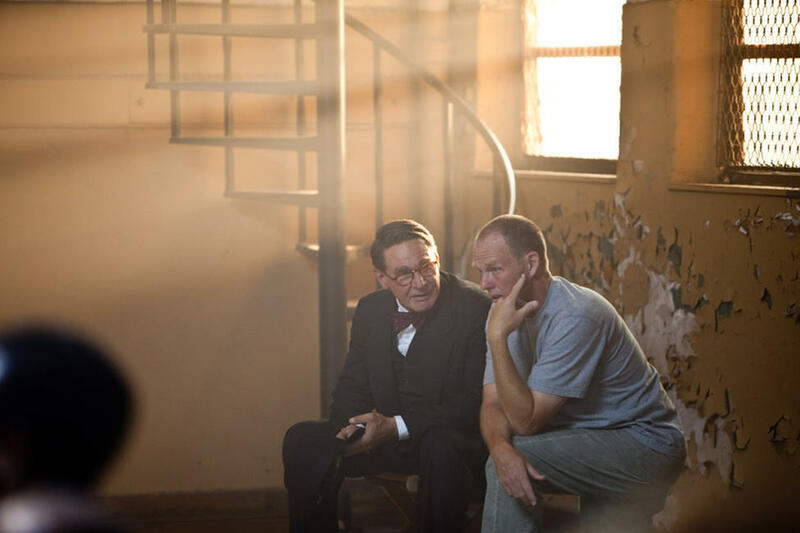 Toby Huss as Clyde Sukeforth in "42." 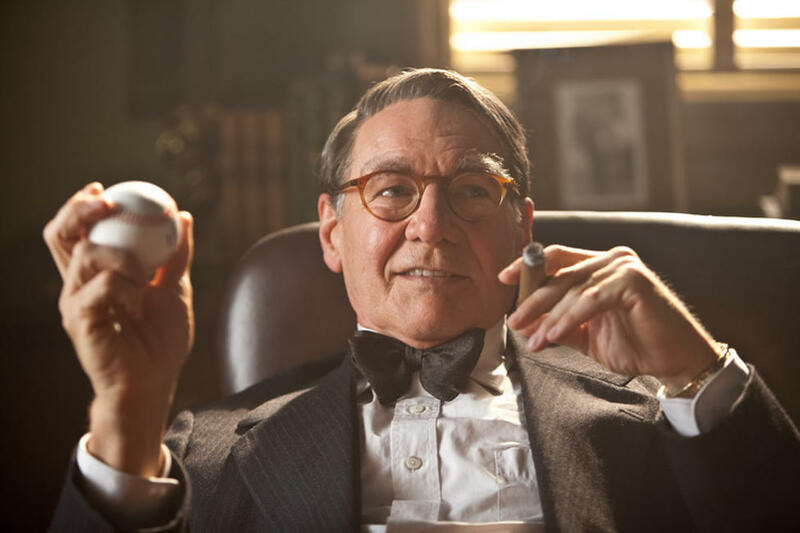 T.R. 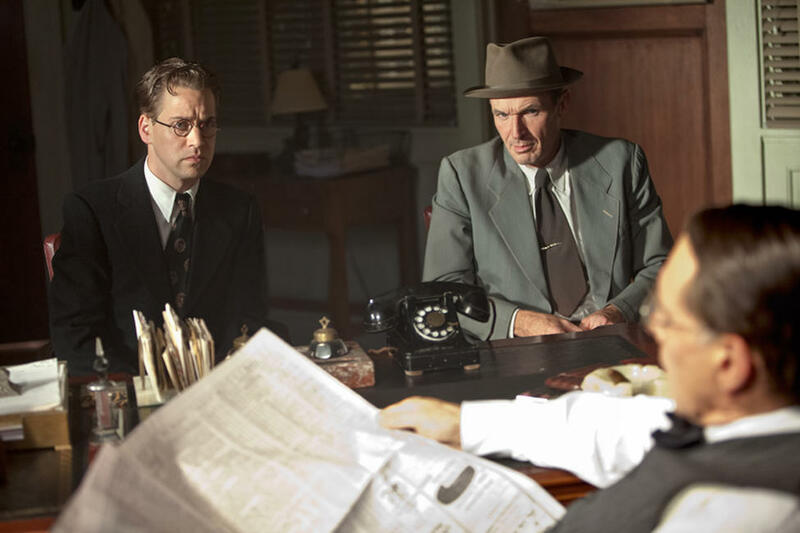 Knight as Harold Parrott, Toby Huss as Clyde Sukeforth and Harrison Ford as Branch Rickey in "42." 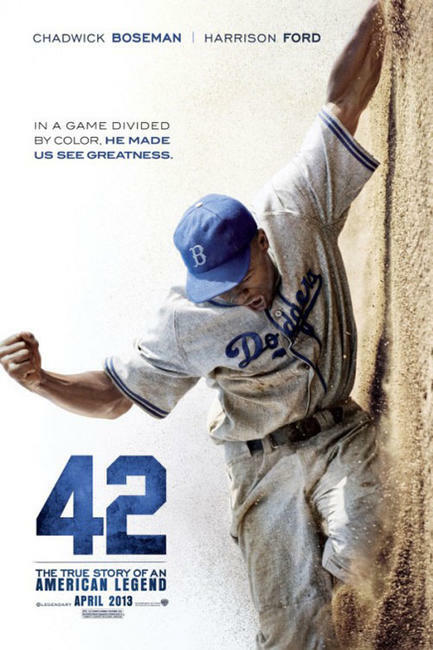 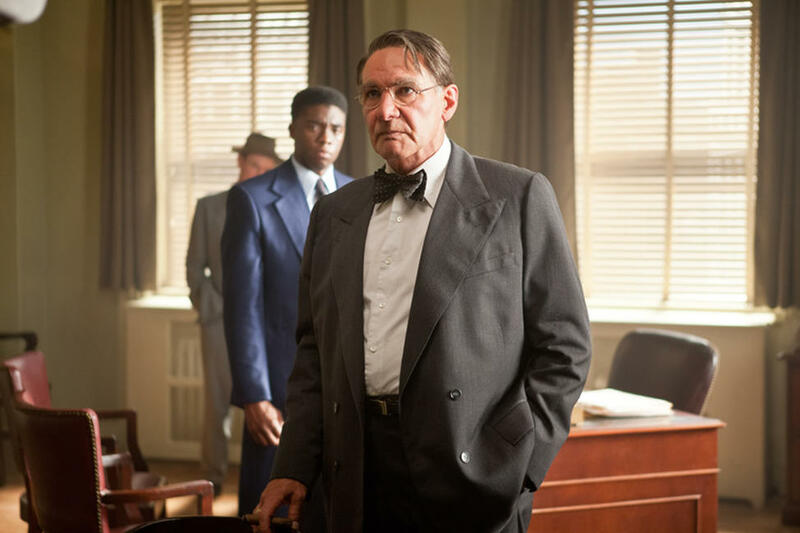 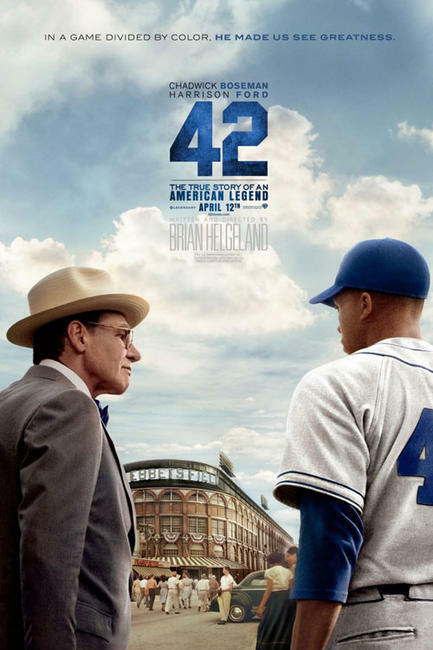 Brett Cullen as Clay Hopper, Chadwick Boseman as Jackie Robinson and Harrison Ford as Branch Rickey in "42." 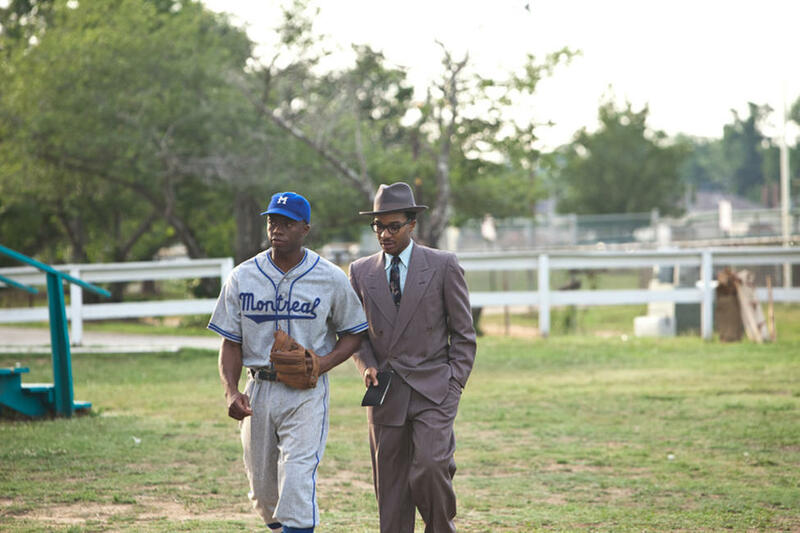 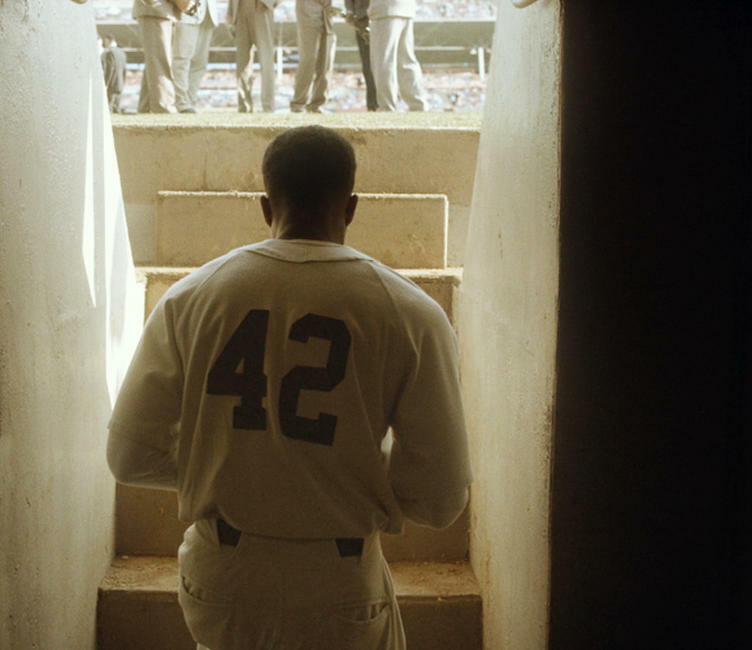 Chadwick Boseman as Jackie Robinson and Andre Holland as Wendell Smith in "42." 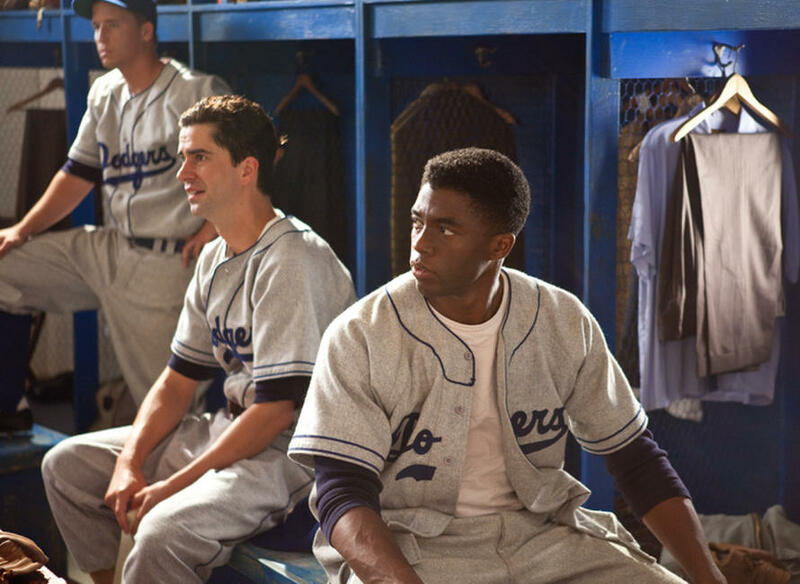 Blake Sanders as Gene Hermanski, Hamish Linklater as Ralph Branca and Chadwick Boseman as Jackie Robinson in "42." 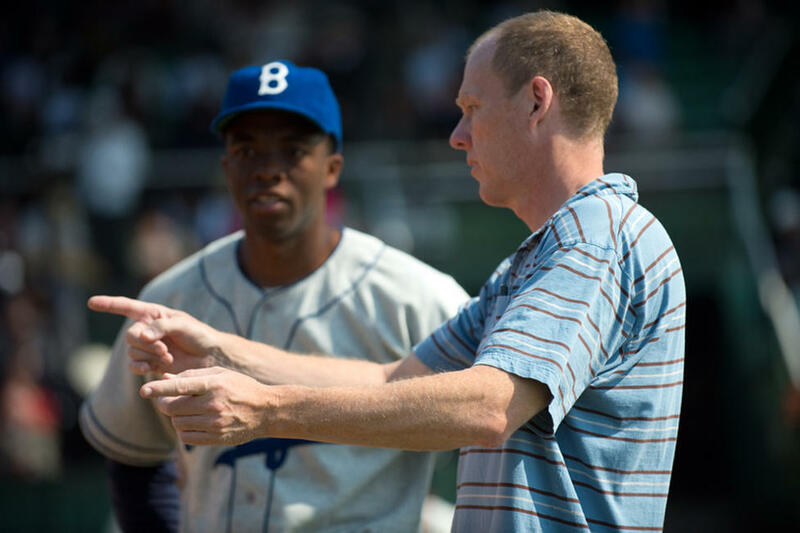 Alan Tudyk as Ben Chapman in "42." 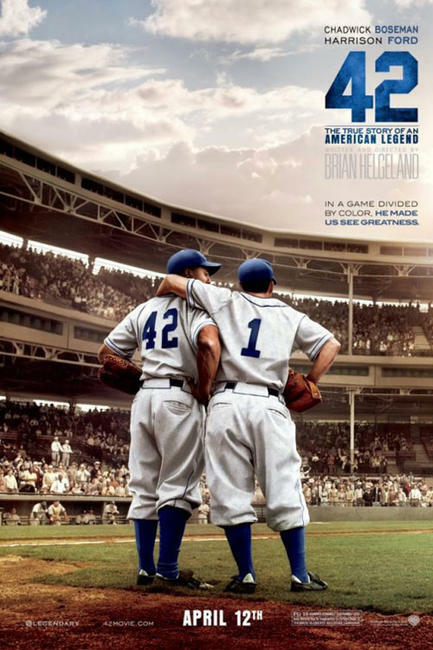 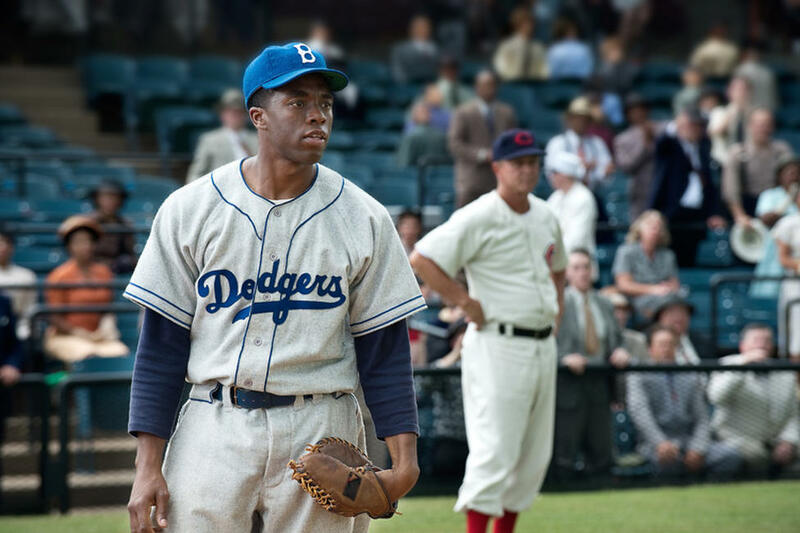 Lucas Black as Pee Wee Reese and Chadwick Boseman as Jackie Robinson in "42."